Is mixing Mountain Dew and racing fuel a new trend? Is Dewshine (mixing Mountain Dew and racing fuel) what all the cool kids are doing? Will it make me cool? And that’s just one state, and the just the cases that have been reported. While that is correct, it is also much more than an exaggeration of the facts. She (Tennessee Poison Center Medical Director Donna Seger) says this is the first time she has seen this type of poisoning. The four cases are the only ones reported in Tennessee, and Seger is not aware of any cases in other states. Nationally, there was only one methanol poisoning fatality reported among teens aged 13-19 by the American Association of Poison Control Centers’ National Poison Data System in 2014, the most recent year data is available. Rudy Eugene was shot while eating the face of another person. This was supposed to be the beginning of a wave of attacks by abusers of bath salts, but . . . Lab tests detected only marijuana in the system of a Florida man shot while chewing another man’s face, the medical examiner said Wednesday, ruling out other street drugs including the components typically found in the stimulants known as bath salts. We are still waiting for the bath salts zombie apocalypse. What did I write about it at the time? This appears to be the first time that mixing Mountain Dew and racing fuel has been reported, so is it the tip of an iceberg or just an example of click bait? Why mix racing fuel with anything and drink it? Racing fuel contains methanol, a type of alcohol that is much more poisonous to humans than ethanol (the type of alcohol that is sold for to be drunk by humans). Why drink methanol, rather than ethanol? The dead were both 16 years old. Suppose that you are 16 and you want alcohol. Ethanol is not legally available. You probably do not know much about chemistry or toxicology. You may know that methanol is a form of alcohol. You skip right by due diligence. You draw the wrong conclusion. Four of you are hospitalized, but only two survive. Teens tend to choose to experiment with marijuana, rather than methanol. Both are much easier to obtain than ethanol, but the dangers of marijuana are more likely to be legal, while the dangers of methanol are more likely to be medical. Mixing products containing methanol with Mountain Dew may be new, but the use of methanol for intoxication is not new, accidental ingestion of methanol by smaller children is also not new, and inhalation of products containing methanol (such as huffing carburetor cleaner) appears to be more even more common than ingestion of methanol. The hospital treatment for methanol toxicity is hemodialysis and fomepizole (Antizol) and/or 10% ethanol. The EMS treatment is supportive care. Patients with initial blood sugar measurements above 140 mg/dL appear to be much more likely to die, which means that we should be especially vigilant with these patients, not that those with blood sugar measurements below 140 mg/dL will not die. Don’t drink, or inhale, methanol. Methanol is neither fashionable nor healthy. I hope you don’t come here for fashion advice, but I have provided valid evidence for my health advice. Will I be surprised if the lab results show drugs in his system? No. Will I be surprised if the lab results do not show drugs in his system? No. There are other causes of excited delirium. Drugs are most common, so a wise bet would be to bet on there being drugs in his system, but enough patients experience excited delirium without drugs that we would be behaving inappropriately if we did not consider other causes of altered mental status, such as hypoglycemia, head injury, either a clot or a bleed in the brain, or any of the other possible causes of excited delirium. We do not know what caused this. Cannabis-related hospitalizations: unexpected serious events identified through hospital databases. Jouanjus E, Leymarie F, Tubery M, Lapeyre-Mestre M.
Br J Clin Pharmacol. 2011 May;71(5):758-65. doi: 10.1111/j.1365-2125.2010.03897.x. We estimated that in 2007 the incidence of cannabis-related AEs in the Midi-Pyrenees region ranged from 1.2 per 1000 regular cannabis users (95% confidence interval (CI) 0.7, 1.6) to 3.2 (95% CI 2.5, 3.9). American Academy of Clinical Toxicology practice guidelines on the treatment of methanol poisoning. Barceloux DG, Bond GR, Krenzelok EP, Cooper H, Vale JA; American Academy of Clinical Toxicology Ad Hoc Committee on the Treatment Guidelines for Methanol Poisoning. J Toxicol Clin Toxicol. 2002;40(4):415-46. Review. The management of methanol poisoning includes standard supportive care, the correction of metabolic acidosis, the administration of folinic acid, the provision of an antidote to inhibit the metabolism of methanol to formate, and selective hemodialysis to correct severe metabolic abnormalities and to enhance methanol and formate elimination. Although both ethanol and fomepizole are effective, fomepizole is the preferred antidote for methanol poisoning. Hyperglycemia is a strong prognostic factor of lethality in methanol poisoning. Sanaei-Zadeh H, Esfeh SK, Zamani N, Jamshidi F, Shadnia S.
J Med Toxicol. 2011 Sep;7(3):189-94. doi: 10.1007/s13181-011-0142-x. Considering the cutoff level of 140 mg/dL for blood glucose and using logistic regression analysis, and adjusting according to the admission data with significant statistical difference in the two study groups, the odds ratio for hyperglycemia as a risk factor for death was 6.5 (95% confidence interval = 1.59-26.4). Our study showed that blood glucose levels were high in methanol poisoning and even higher in those who died in comparison with the survivors. Therefore, hyperglycemia might be a new prognostic factor in methanol poisoning, but further studies are needed to determine whether controlling hyperglycemia has therapeutic consequences. Don’t make the mistake of treating the blood sugar in the belief that you are improving outcomes. There is no evidence to support that hypothesis. In the absence of evidence of benefit or safety, we should expect that treating the blood sugar would be more harmful than beneficial. Breath alcohol analyzer mistakes methanol poisoning for alcohol intoxication. Ann Emerg Med. 2010 Feb;55(2):198-200. doi: 10.1016/j.annemergmed.2009.07.021. Epub 2009 Oct 14. Methanol ingestion: prevention of toxic sequelae after massive ingestion. Lushine KA, Harris CR, Holger JS. J Emerg Med. 2003 May;24(4):433-6. Observations on the specificity of breath-alcohol analyzers used for clinical and medicolegal purposes. J Forensic Sci. 1989 Jul;34(4):842-7. Three different methods of alcohol analysis are reported: semiconductor sensing (Alcotest 7310), electrochemical fuel cell (Alcolmeter SM-1), and infrared (IR) absorptiometry (IR Intoximeter 3000). Methanol could not be distinguished from ethanol with any of these breath-test instruments. When nonspecific techniques of ethanol analysis are used, the results must be considered with caution when interfering substances expelled in breath cannot be excluded. In a system that claims excellence, the most consistent way to identify the study group is by documentation of a protocol violation – but it is not intended as a study of protocol violations. This may hint at some benefit from epinephrine (Adrenaline in Commonwealth countries), but that would require some study and we just don’t study epinephrine. We only make excuses for not studying epinephrine. The atropine results suggest that the epinephrine data may be just due to small numbers, or that we may want to consider atropine for drug overdose cardiac arrest patients, or . . . . The Sodium Bicarbonate (bicarb – NaHCO3) results suggest a flaw in EMS education (probably testing, too). 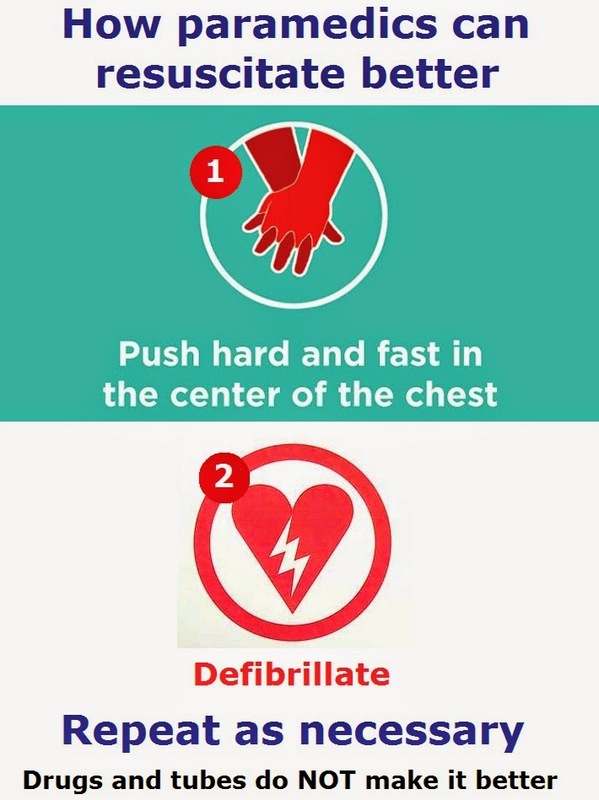 If the patient is acidotic, this is one type of cardiac arrest where hyperventilation may be beneficial. Bicarb is the part of the drug that doesn’t do much, especially if the patient is dead. The sodium is what works, such as when the patient has taken too much of a sodium channel blocker, such as a tricyclic antidepressant or a class I antiarrhythmic. 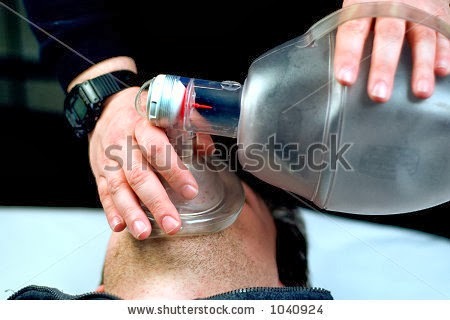 Acidosis is treated by hyperventilation. Use capnography. 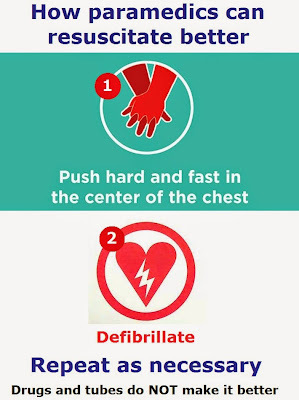 Most important – antidotes probably don’t work as expected during cardiac arrest. Not even naloxone (Narcan). They may have located the highest concentration of heroin overdose in the country. 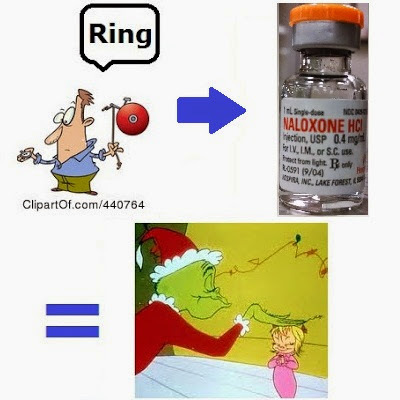 93% of OD-OHCA patients were treated with naloxone. 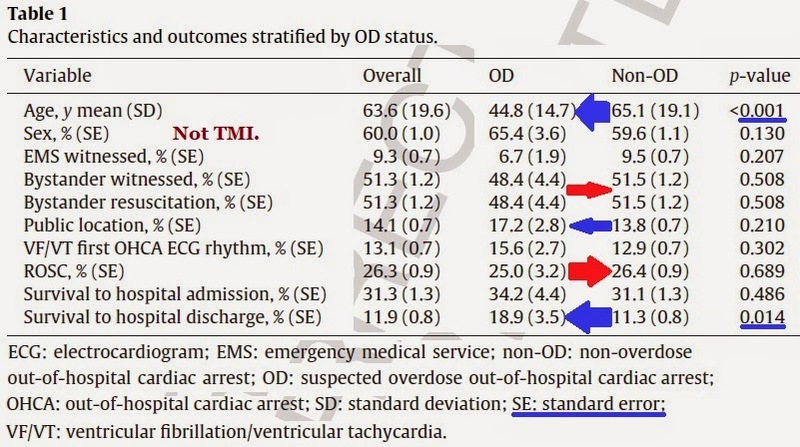 These results seem to show better response to the prehospital drugs in the OD-OHCA patients, but that ignores the ROSC (Return Of Spontaneous Circulation) rates. 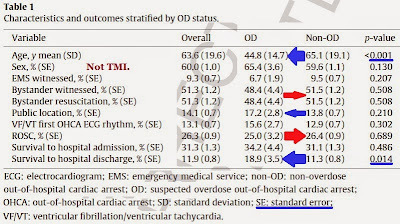 Why would OD-OHCA patients do better than non-OD-OHCA patients if they get a pulse back? The average non-OD-OHCA patient is 20+ years older. These older patients may not be as capable of recovery nor as capable of tolerating the toxicity of the drugs they were treated with. The change after ROSC is dramatic. Is that the important point of this study? Are they doing anything special for OD patients in the hospital, or is it just a matter of That which does not kill me by anoxic brain damage, may allow me to recover twice as often as a typical cardiac arrest patient. Do drugs (antidotes, antiarrhythmics, . . . ) work the same way in dead people as in living people? We should understand that normal metabolism is irrelevant to cardiac arrest. We should understand that we do not need to ventilate adult cardiac arrest patients, when the cause is cardiac. An absence of ventilation would not be appropriate in a living adult, but dead metabolism is not normal. If something as basic as oxygen changes, when the patient is dead, how much less do we understand the behavior of other drugs in dead patients? Resuscitation characteristics and outcomes in suspected drug overdose-related out-of-hospital cardiac arrest. Koller AC, Salcido DD, Callaway CW, Menegazzi JJ. To clarify, would you consider it acceptable to sedate to the point of requiring assisted ventilation for a sufficiently painful injury (e.g. multiple long bone fx’s)? I have not needed to ventilate any of these patients, but I have added oxygen to keep some patients’ oxygen saturation above 93%. Would it be wrong to medicate to the point of needing to ventilate? There was a time when I would have taken the position that this is an indication of bad pain management/bad sedation, but I no longer agree with that. We are there to provide appropriate care for the patient, not appropriate care for the patient up to the point of needing to assist with ventilation. Most medical directors will probably disagree with me, but medical directors are getting better at encouraging appropriate pain management and sedation. But we do not have ketamine. should our patients suffer because we do not have the best drug for these patients? What is going to happen in the hospital? The patient is going to need surgery, which generally involves ventilation through an endotracheal tube, or an LMA (Laryngeal Mask Airway). We could anticipate that and place an airway for ventilation. We could give tiny titrated doses of naloxone (for suspected opioid-induced hypoventilation) and/or tiny titrated doses of flumazenil (for suspected benzodiazepine-induced hypoventilation). This problem is not a lack of oxygenation, because we could treat that with a higher concentration of oxygen. This is a problem of inadequate removal of CO2 (Carbon DiOxide), or it is a combined problem of hypoxia and hypercarbia. There is a discussion of procedural sedation by Dr. Al Sacchetti that is essential listening for anyone who provides sedation and/or pain management. Why should paramedics listen to this? Because this is important material to understand to be good at sedation and pain management. Pay attention to the whole presentation, because Dr. Sacchetti makes some excellent points. Most relevant to what I am writing is what he says from 27:00 to 28:15. Would an LMA have been more appropriate? Maybe. Maybe not. The medication with the lowest complication rate is . 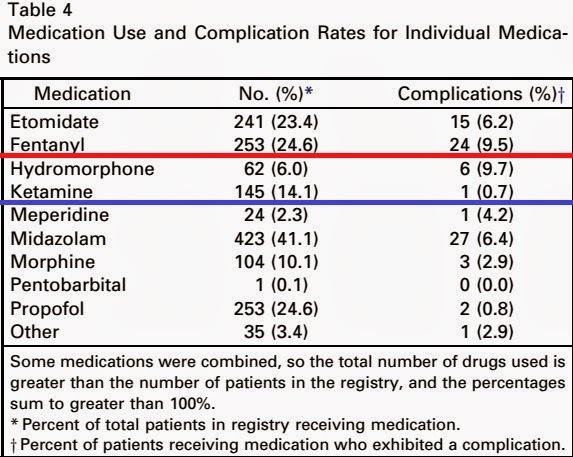 . .
What do you think was the safest drug (lowest complication rate)? At 30:00 he puts the safety of fentanyl and etomidate (EMS medications) in perspective, when compared with ketamine and propofol, which are often considered too dangerous for EMS. Fentanyl has the highest complication rate followed by etomidate. This list is in alphabetical order, not in order of complications, or number of patients, or . . . .
Airway management skill is essential. Limiting EMS to the least safe medications does not protect patients. Page with free download of presentation in mp3 format. The reference is to the ProSCED registry, which is described in the papers below – both are free. Procedural sedation in the community emergency department: initial results of the ProSCED registry. Sacchetti A, Senula G, Strickland J, Dubin R.
Acad Emerg Med. 2007 Jan;14(1):41-6. Epub 2006 Aug 31. Page With Free Full Text in PDF Download format from Academic Emergency Medicine. Click on Get PDF (97K). The safety of single-physician procedural sedation in the emergency department. Hogan K, Sacchetti A, Aman L, Opiela D.
Emerg Med J. 2006 Dec;23(12):922-3. 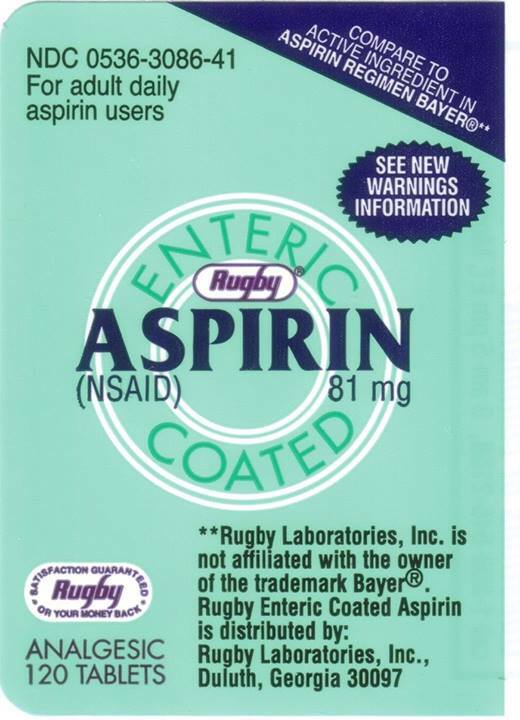 Last week the FDA (Food and Drug Administration) sent out a safety announcement about a recall of Rugby label Enteric Coated Aspirin Tablets, 81 mg, Lot 13A026. The package does not contain 81 mg aspirin, but actually contains 500 mg acetaminophen (Tylenol), which is a much larger dose and is in many other over the counter medicines, such as cough and cold medicines. Almost all of these medicines contain a full adult dose of acetaminophen in addition to whatever the active ingredient is (guaifenesin, dextromethorphan, et cetera). Consumers may be inadvertently taking Acetaminophen 500 mg instead of Enteric Coated Aspirin 81 mg which may cause severe liver damage to those who take other drugs containing acetaminophen, consumers who take 3 or more alcoholic drinks every day, or those who have liver disease. The labeled directions instructs patients to take 4-8 tablets every 4 hours, but not more than 48 tablets in 24 hours. Consumers who take 48 tablets daily of the defective product may be ingesting up to 24,000 mg of Acetaminophen, which is about six times the maximum recommended daily dose of acetaminophen (4,000 mg). Taking more acetaminophen than needed is not safe because of this duplication of doses. The liver may be able to remove the current amount of acetaminophen we are consuming (intentionally and unintentionally), but an extra half gram of acetaminophen may result in a toxic dose. Some people only take 81 mg enteric coated aspirin on a daily basis for its antiplatelet effects, but the package recommends a lot more. The pills are probably larger than the normal aspirin pills, but if you are unfamiliar with the product, you would not recognize the difference. Taking a handful (4-8 tablets every 4 hours, but not more than 48 tablets in 24 hours) of pills at a time is probably not a good idea, regardless of the label instructions. “Did he take six pills or only five?” Well, to tell you the truth, in all this excitement I kind of lost track myself. We have trouble counting beyond three. Half an hour after lunch, a 67 year old man passes out. He regains consciousness, as often happens with syncope. He is not quite back to normal, blood pressure is 80/60 mm Hg, heart rate is 110, respiratory rate is 25, oxygen saturation is 99% on room air, with a temperature of 96.8° Fahrenheit. If we tilt him, we will probably get a worsening of his vital signs, but there is no need to actually obtain the numbers if the assessment is causing deterioration. Medical examination was only remarkable for diffuse erythema on his chest and face, without mucosal swelling or pruritus. Anaphylaxis was nonetheless suspected, and the patient immediately received intravenous epinephrine (0.1 mg) and aggressive intravenous fluid resuscitation. It reads as if this looks like a sunburn, which anaphylaxis sometimes does. He was treated for anaphylaxis. As it turns out, this is not anaphylaxis, but the treatment is not much different. Worsening circulatory failure required high-dose (0.8 μg/kg per minute) norepinephrine infusion. His 12 lead also shows that his body is not happy. Click on the image to make it larger/clearer. ST segment depression almost everywhere. ACS (Acute Coronary syndrome)? Catecholamines (epinephrine, norepinephrine, dopamine, dobutamine, isoproterenol, metaproterenol, albuterol, . . . ) can increase the stress on an infarcting heart and make an ACS worse, but he had no other indications of a heart attack. Further interrogation revealed that the patient erratically self-medicated with disulfiram and that he had ingested 500 mg of disulfiram 1 hour before alcohol intake. Disulfiram (Antabuse) is used by some people with problems avoiding alcohol as a means to discourage consumption of alcohol. This patient consumed 500 ml (a little more than a quart) of wine with his lunch, so there may be a lack of understanding of how the medication works. The patient was discharged home the day after, without any medication. The diagnosis of severe “disulfiram ethanol reaction” (DER) was retained. Direct alcohol consumption is not the only way that DER (Disulfiram Ethanol Reaction) can present. The detailed personal history revealed that he was an alcoholic of 5 years and was started on disulfiram 100 mg daily for deaddiction since 9 months. His previous medical report revealed frequent medical consultation for palpitation, chest discomfort, paresthesia, and easy fatigability after initiation of deaddiction. His old records showed no detectable blood alcohol levels. On further interrogation, it was noticed that he was exposed to variety of solvents such as metal paints, thinners, varnish removers, and polish containing methanol, ethanol, isopropyl alcohol, and toluene for about 8 to 12 hours a day and 6 days a week in view of his occupation. There are other documented cases of occupational exposure leading to DER. An explanation of the way occupational exposure with disulfiram works is available in the discussion of another case from Oxford Journals. Our case emphasizes the need to include drug interaction in the differential diagnosis of any shock, to avoid unnecessary and invasive procedures or therapeutics. Especially, DER should be suspected in an alcoholic patient presenting with miscellaneous manifestations mimicking anaphylaxis, complicated myocardial infarction, or toxinic shock. The authors finish with a statement that is extremely important. the potential severity of adverse side effects of drugs indicates that any medication should be carefully scrutinized for potential pharmacokinetic and pharmacodynamic interactions that may result. How many of us understand the possible drug interactions we are creating when reflexively treating patients according to protocol? Antabuse reaction due to occupational exposure-an another road on the map? Senthilkumaran S, Menezes RG, Ravindra G, Jena NN, Thirumalaikolundusubramanian P.
Am J Emerg Med. 2013 Jun 18. doi:pii: S0735-6757(13)00297-0. 10.1016/j.ajem.2013.05.022. [Epub ahead of print] No abstract available. Disulfiram reaction in an artist exposed to solvents. Ehrlich RI, Woolf DC, Kibel DA. Occup Med (Lond). 2012 Jan;62(1):64-6. doi: 10.1093/occmed/kqr172. Epub 2011 Nov 7. Free Full Text from Oxford Journals.